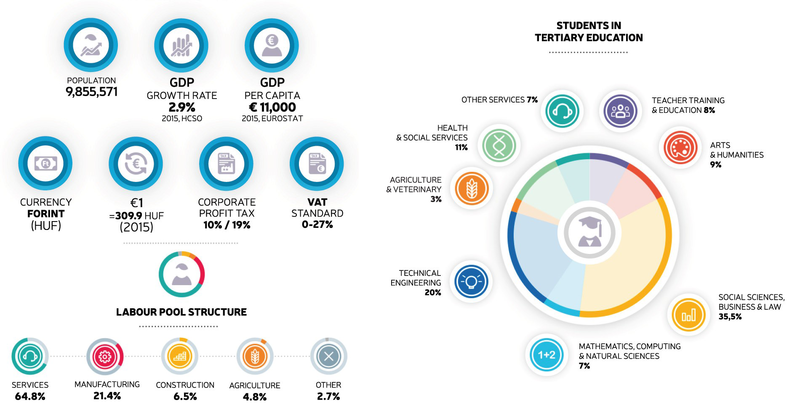 99.9% of the Hungarian enterprises are small and medium-sized and their contribution to the GDP is 48.9%. SMEs provide the 2/3 of jobs and contribute to exports by 36.8%. The remaining 0.1% is large enterprises, with capital structure partially or fully owned by foreigners and their contribution to the GDP is 51.1%. As observed in all Member States of the EU, in Hungary, a significant percentage of foreign trade activities takes place among EU members. Since May 1st 2004, exports to the EU are 70.7% of the total exports of the country. Therefore, any development of the EU economy will have a direct impact on export figures by Hungary. 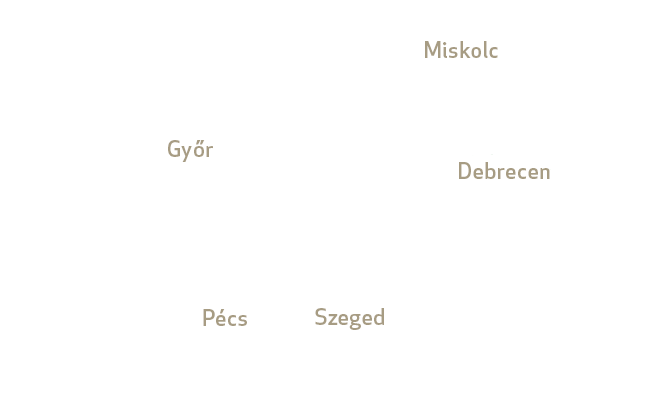 Machinery and motor vehicles are the leading products in both imports and exports of Hungary. On the other hand, considering the fact that many transport networks use the country as a transit channel to other European countries, Hungary is an important logistics centre of Europe. Hungary offers large financial advantages in many international companies in terms of production and establishment of a distribution or logistics centre for the transportation of their products to Western Europe, Asia or other Balkan countries. Large investments have been made in the country from other EU member countries, but also from the USA, which are the best proof that the country is an important hub for investors who want to switch to Central and Eastern Europe. In 2014, the volume of exports of Hungary was 110.8 billion dollars and the import volume was 104.7 billion. In addition, as shown in the table, Hungary had a deficit in the 2004-2008 period; however the Hungarian economy has followed an upward trend and has had a surplus balance of trade in all the years after the crisis. The total volume of imports of Hungary in 2014 was 104 billion dollars, of which 77 billion came from EU Member States. The share of these countries in the total volume of imports of Hungary is 75%. Germany holds the highest share of 25%. In other words, the ¼ of Hungary’s imports comes from Germany. Non-European countries hold a share of 25% of the total imports of the country. The largest proportion of those is by Russia at a rate of 7.1%.